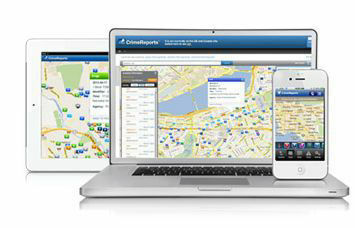 CrimeReports, the leading online crime mapping service, clearly distinguished itself as an industry leader. With the help of Coltrin & Associates, CrimeReports Founder and CEO Greg Whisenant was branded as an expert in Gov 2.0 initiatives with a practical solution that became a standard in delivering to the public accessible and useable government data. Coverage in publications such as USA Today, New York Times, The Wall Street Journal, CNN, BBC and others solidified public mind share as a credible source for crime mapping. In addition to top-tier coverage, trade publications shaped CrimeReport's positive rapport with police agencies across North America. The positive coverage Coltrin generated, in combination with internal initiatives, led to the remarkable growth for CrimeReports in 2009.